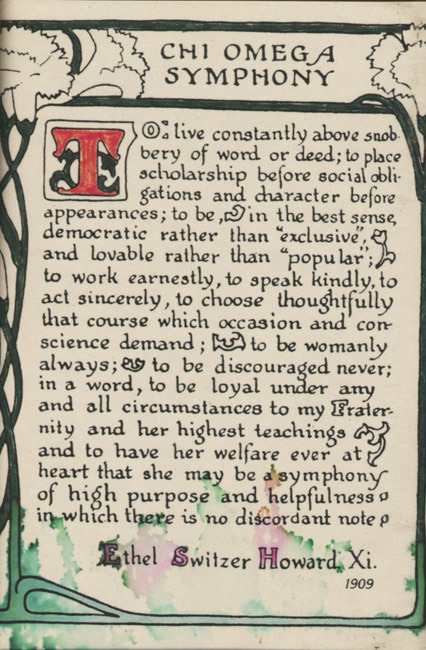 Motto, Chi Omega Symphony by Ethel Switzer Howard, 1909. "To live constantly above snobbery of work or deed; to place scholarship before social obligations and character before appearances . . . and to have her welfare ever at heart that she may be a symphony of high purpose and helpfulness in which there is no discordant note." Courtesy of Beth Kreisa Bonner. 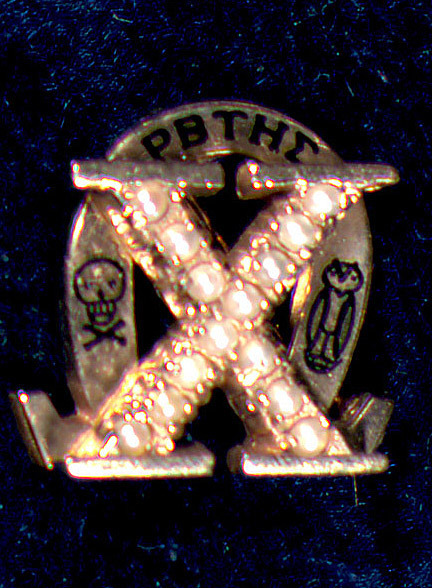 Chi Omega Sorority pin, ca. 1991. 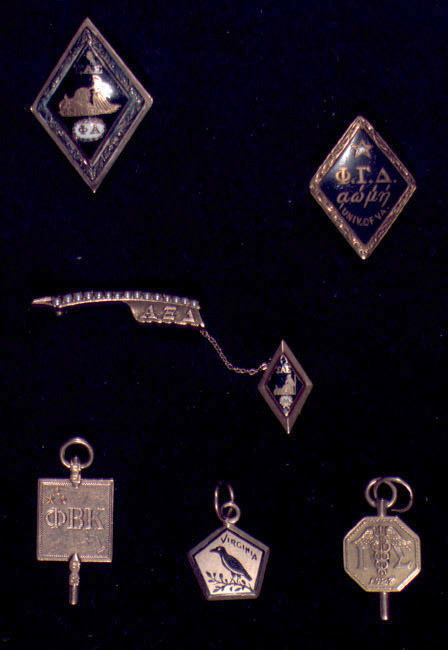 Chi Omega Sorority decorative paddle, ca. 1991. 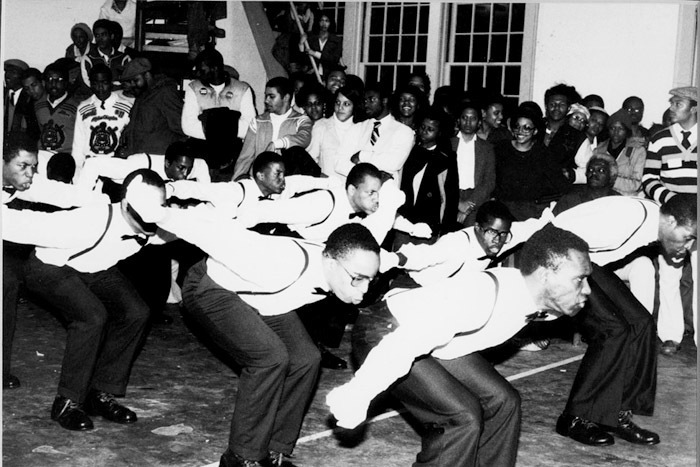 An African-American fraternity displays its unity during their annual Block Show (Step Show), 1 March 1980.